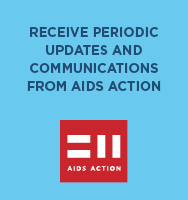 For over 30 years, AIDS Action has been a leader in HIV prevention. We educate people about HIV, working directly with those most at risk to make sure they have the tools to avoid infection. We also work with people who are HIV-positive to make sure they know their HIV status, get connected to care, and understand how they can keep from passing the virus onto others. In recent years, our work has expanded to include STI and hepatitis C prevention, as well. Sexually transmitted diseases like herpes and syphilis can increase a person’s risk of contracting HIV, and certain activities, like injection drug use, can put people at risk for hepatitis C and HIV.